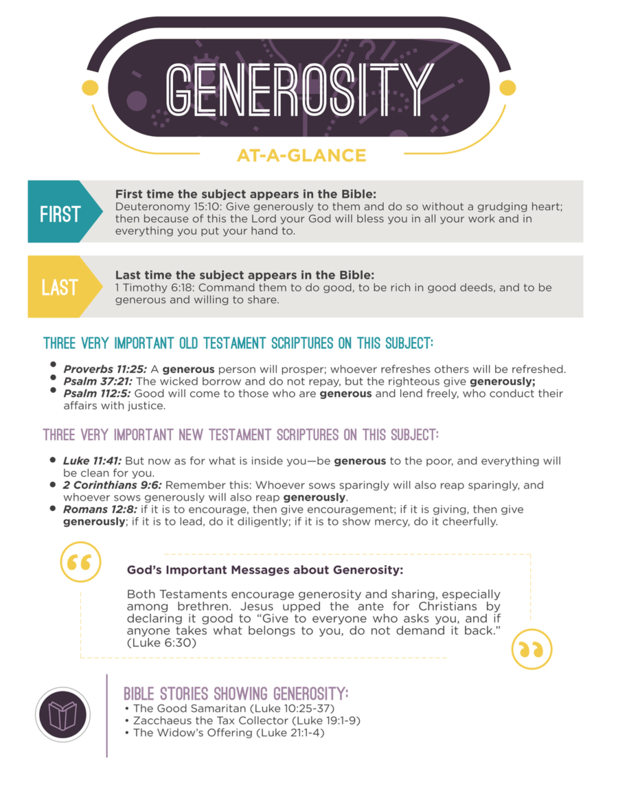 We've created a set of learning handouts that focus on 20 Essential Biblical Virtues that will help children build the character and integrity they need to achieve true success and build strong relationships. 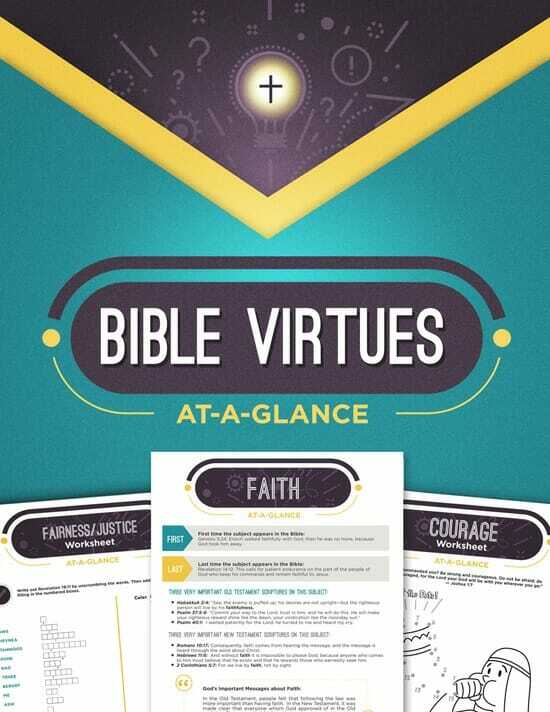 Inside you will find 20 At-a-Glance Bible Virtues Handouts- just like the one above! You can teach one virtue a month and cover all 20 in under two years! You can teach them over a ten-week timeframe, covering two virtues per class and sending home the worksheet supplements for at-home reinforcement. You can teach the virtues over a 20-week timeframe. Teach using the handouts as a guide, and supplement using the worksheets as in-class or take-home work. You can send an entire handout/worksheet set home with kids to work on with their parents. Parents LOVE having an "assignment" like this that helps serve as a springboard for discussion. Did you witness a child lacking courage amongst their peers? Provide their parents with the "Courage Handout" to help give them some extra parenting tools to build their child up with at home. Assign one virtue to each child (or team) and have them use the handouts to guide their research on that specific topic. Have the kids come up and present what they learned about the Bible's teaching on that virtue to the class. 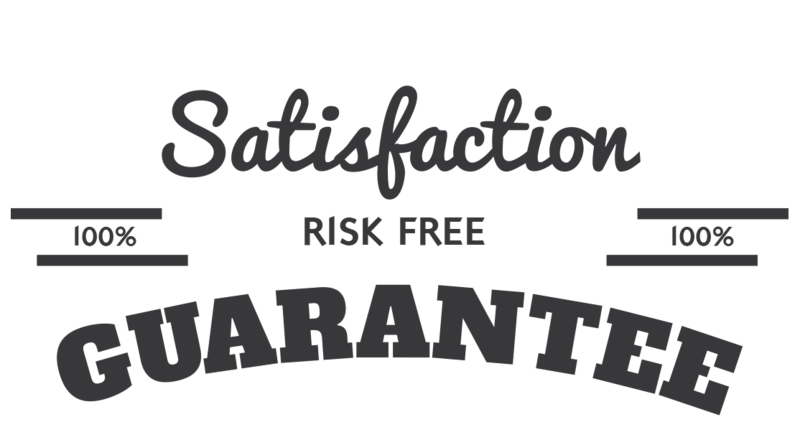 As soon as your order is securely processed, we’ll direct you to a download area, where you can get instant access to all the At-a-Glance Printables. 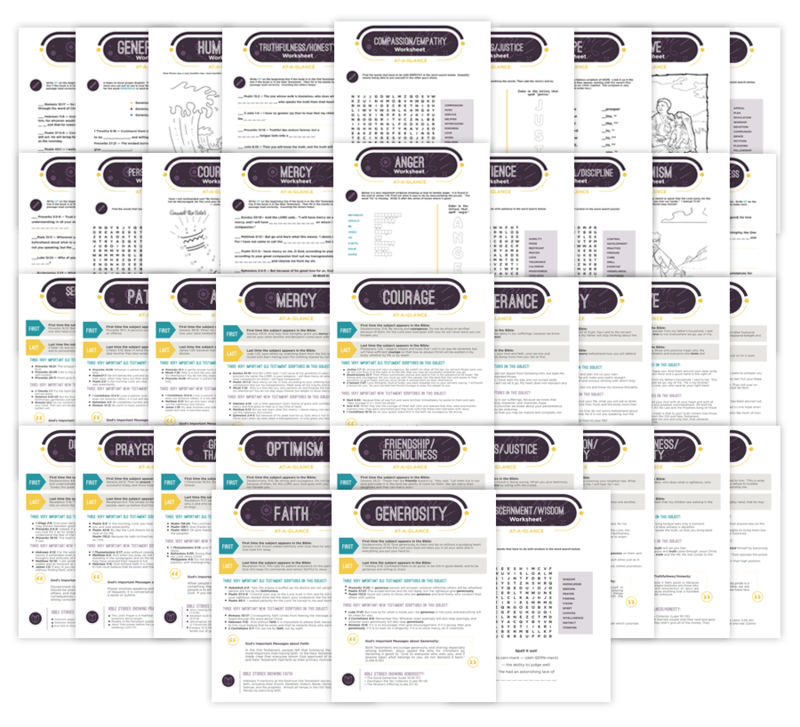 Print out the At-a-Glance Reference Sheets on your home, office, or church computer in just minutes! 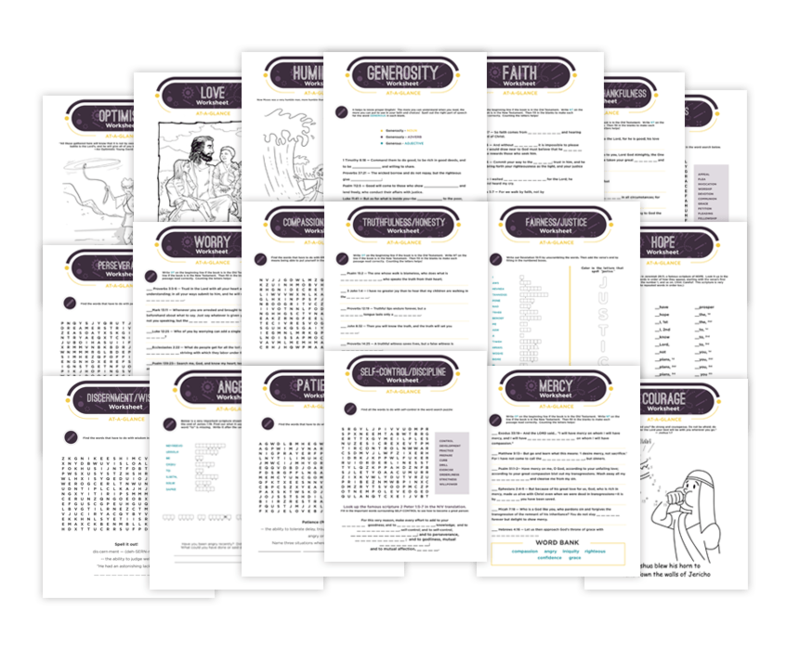 Use the Virtues Reference Sheets & Companion Worksheets to accompany your Bible lessons or to focus on a specific virtue each week! We are so sure that you will love the Bible Virtues At-a-Glance Package that we are offering an unconditional 100% money-back guarantee.